Quote: Euripides on Madcap Marriage | It's the Women, Not the Men! 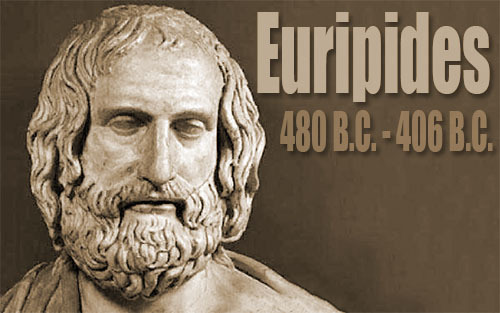 Euripides is one of my favorite playwrights. For himself, however, he chose to live alone in a cave – apart from populated areas, as he shunned society. But the sensitivities he displayed for the Human Condition, relationships and identification with the lot of others is priceless.